6 weeks away and the hardest part is waiting. Ok it’s also hard to know that the home stretch will include quite a bit more stretch (another inch or two??) … and not much home (still working, till the 39th week). 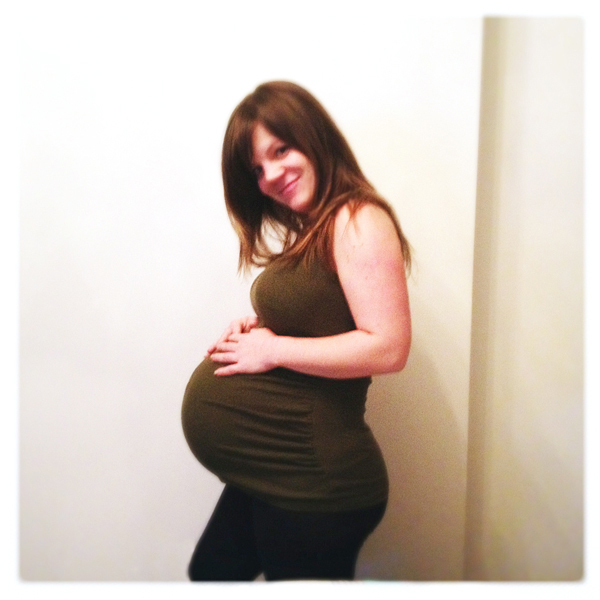 I’ve researched and read a lot about birth and I’ve decided that I’m going to try for natural, unassisted, birth. I know it’s going to hurt but honestly – so what? I’ve never had pain before that so obviously leads to the greatest pleasure imaginable (my little girl, plopped onto my chest). And I’m starting to feel like my athletic experience and build will be helpful, psychologically and physically. 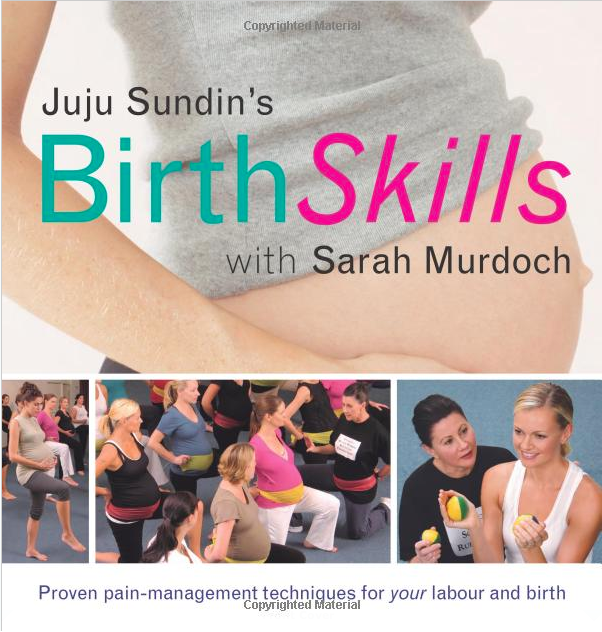 I found this AMAZING birth book called Birth Skills by Juju Sundin which details all the ways to keep the pain of labor manageable, like using your hands and legs, making sounds, breathing, using visualizations, positions… And some other things I’m probably forgetting. It explains that the major pain of labor is from muscle fatigue. Specifically, the uterus being tired from all that scrunching your baby out. What an insight! It’s actually not the pushing that hurts or the giant head making its way down your tiny vaginal canal … It’s just a tired muscle. Like a bicep or a quad that’s been working too hard and too long. Well… I don’t know about you but this seems manageable to me. I’ve been an avid mountain biker and yoga student for over a decade now and I definitely know the pain of hills and prolonged positions. Not to say that it’s anywhere close to what I’m going to feel in 6 weeks or so, but hopefully at the very least I’ll understand the pain. Birth Skills also explains that using up the adrenalin produced by labor helps activate the body’s natural painkillers – endorphins. In other words, using my legs (squatting perhaps!) will help burn off some off the extra energy that the body produces to cope with the birth itself. And then…. Burning off that extra energy helps the endorphins naturally kill pain. It makes sense then, that lying flat on your back with all this fight or flight response going on would keep the endorphins from doing their painkilling thing. And mamma want that painkilling! Anyways I think I’m getting at least a basic understanding of the impending doom known as b..b…b…birth! !